Have stayed here a few times when in Shanghai. Location is great. Wifi works well and room is clean . The staff was great! They helped me rent a bike even though I didn't have alipay. A guy from West Lake didn't leave me alone and followed me all the way to the hostel, but the staff noticed this immediately and checked up with me if he was making me uncomfortable. 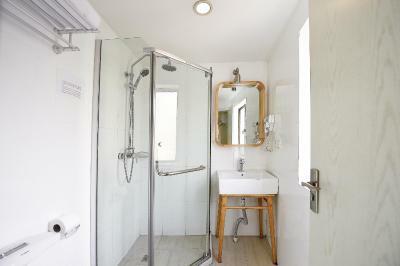 The room itself is clean and quiet and there is a very nice bathroom (the shower even had a heat lamp!). It's very close to a metro station, two stations away from West Lake. The wifi is also very fast. The only negative I can think of is that the locker is a bit small, so if you want to store your entire backpack that probably isn't possible. I can very much recommend this hostel! 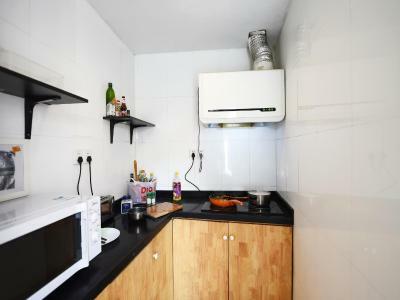 Clean, comfortable, close to a big metro station, good value for the money they charge. 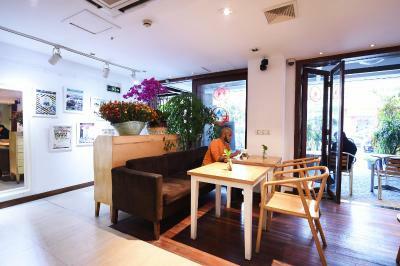 Location was great, right of Nanjing Road. A private room was decent. 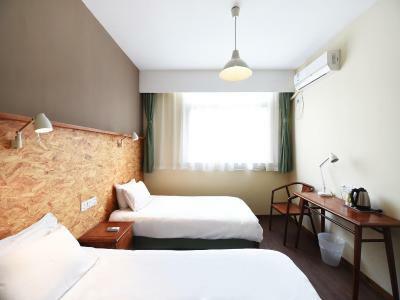 It had relatively comfy beds, for China, and simple but cute aesthetic. This place is very comfortable, you have all at hand Metro restaurants etc. Fantastic location, convenient to get everywhere. Walking distance from The Bund. The hostel is perfectly located, with very convenient transport. 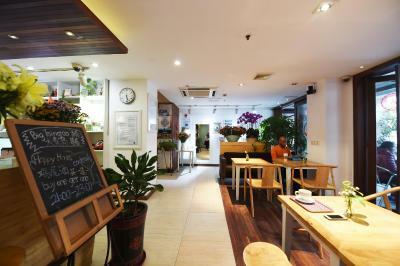 Location is great and it’s easy to access the Nanjing Road and other places by metro. Great location and value. Stayed in winter when Shanghai was getting cold; room was warm. One of our best sellers in Shanghai! Mingtown Nanjing Road Youth Hostel is in downtown Shanghai, a 5-minute walk from the shopping belt of Nanjing Road. 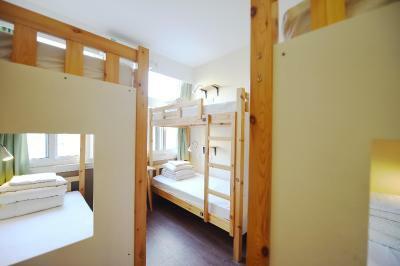 It has simple and affordable accommodations and free Wi-Fi in public areas. 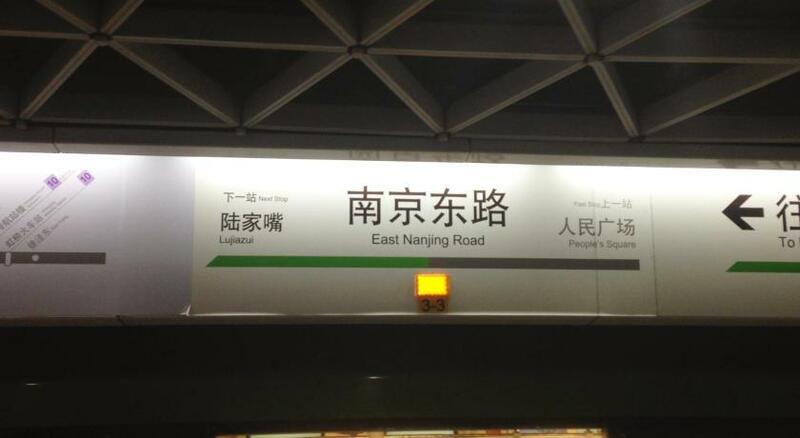 East Nanjing Road is a 2-minute walk from the property. 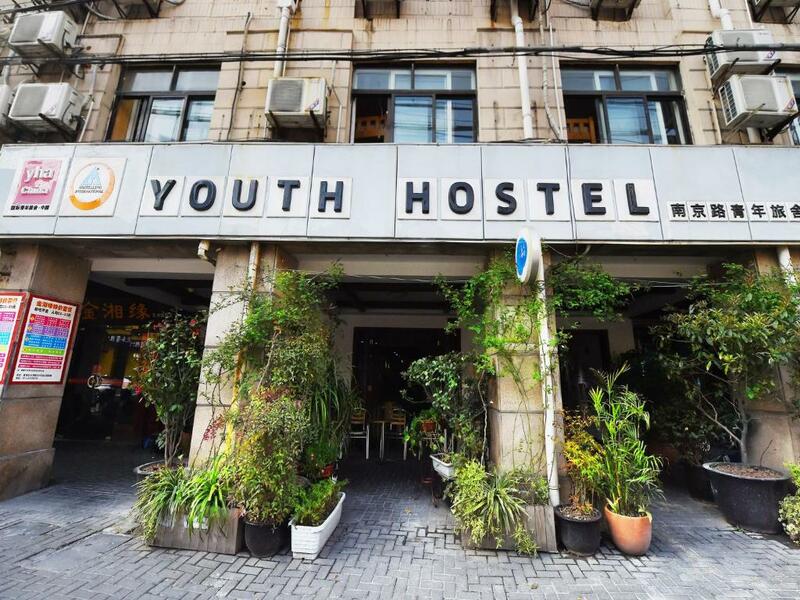 Mingtown Youth Hostel Nanjing Road is a 10-minute drive from Yu Garden and a 15-minute drive from The Bund. 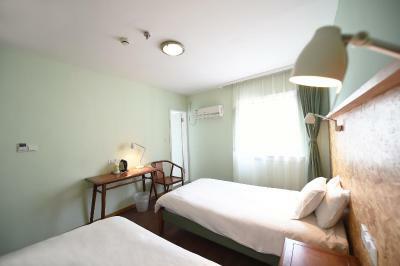 Shanghai Train Station is a 20-minute drive away, and Shanghai Hongqiao Airport is a 30-minute drive from the hostel. 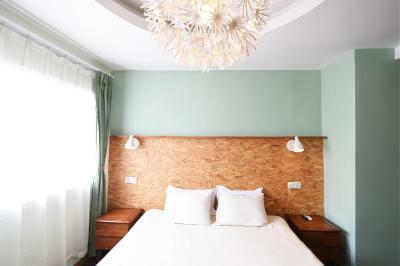 Guests get to choose between staying in lively shared rooms, or in a quiet private room. 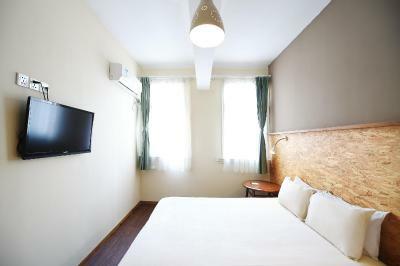 All rooms feature air conditioning, a writing desk and a sitting area. A telephone and an electric teakettle are also included. 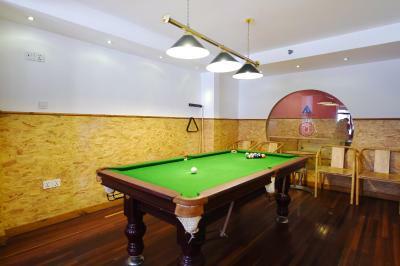 Guests can play chess or poker on the game room, arrange sightseeing trips at the tour desk, or use the laundry services. The 24-hour front desk provides luggage storage for guests’ convenience. 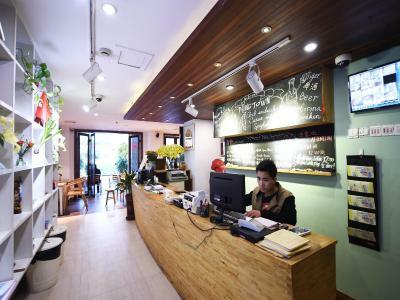 Chinese and Western food can be enjoyed at the hotel’s restaurant. Alternatively, there are many restaurants within walking distance of the hotel. 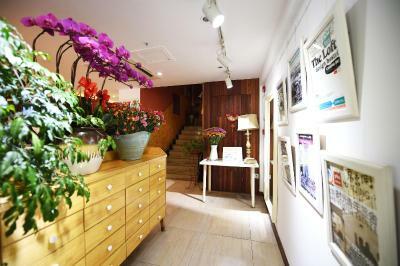 뀐 Located in the real heart of Shanghai, this property has an excellent location score of 9.3! 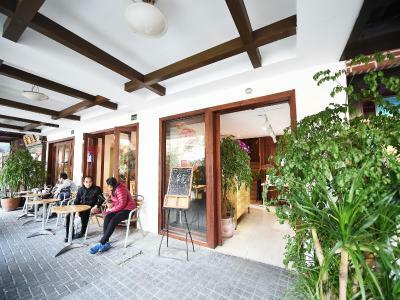 When would you like to stay at Mingtown Nanjing Road Youth Hostel? 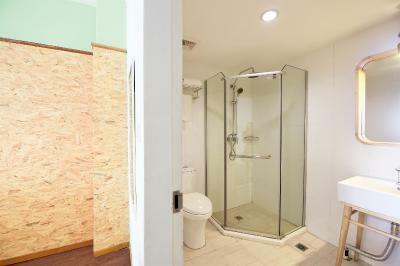 Room comes with a writing desk, a seating area and a private bathroom. Please note that there is no TV in the room. Rooms come with and air conditioning. Bathroom is shared. Please note that child cannot share a bunk with adult. 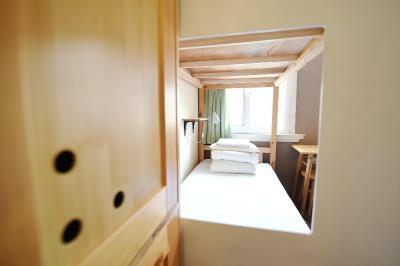 The property suggests that the bunks are only suitable for guests between 14 and 50 years old. Please note that children and adults cannot share 1 bunk bed. A bunk bed allows only 1 person. Please note that slippers are not offered. Room comes with a writing desk and a seating area. Bathroom is shared. Please note that child cannot share a bunk with adult. Area Info – This neighborhood is a great choice for travelers interested in shopping, architecture and sightseeing – Check location Excellent location – show map Guests loved walking around the neighborhood! 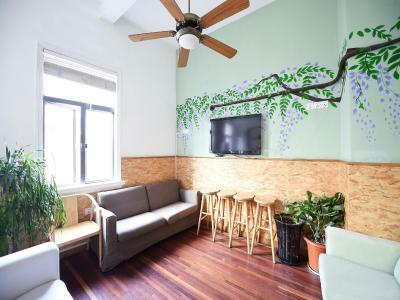 House Rules Mingtown Nanjing Road Youth Hostel takes special requests – add in the next step! Please provide your estimated time of arrival at the time of booking, especially if you are arriving after 18:00. Contact details can be found on your booking confirmation. Please note that the property does not provide toiletries. Please note that hot water supply starts from 5:00 till 0:00 in the midnight. 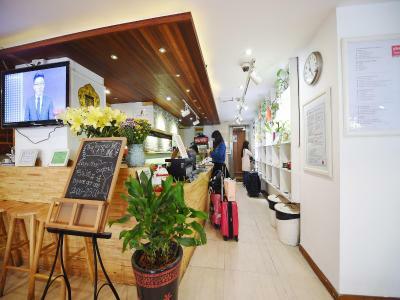 Please inform Mingtown Nanjing Road Youth Hostel of your expected arrival time in advance. You can use the Special Requests box when booking, or contact the property directly using the contact details in your confirmation. Bed was slightly dirty. The other two girls were staying there long term, they had so much stuff spread out I dont think the staff cleans there anymore. When I put down my bag on the floor I had dust bunnies sticking to it when I picked it up. XD. Was staying on 5th floor so had to walk the last staircase. I liked that I could check in early directly when I arrived because the bed was already made. 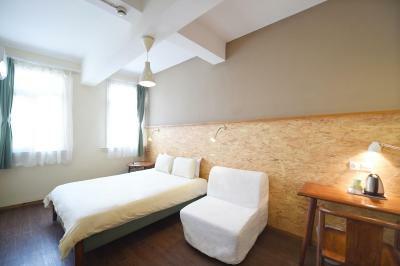 The location is the best, walking distance to the Bund and right next to the subway station. Lobby was very chill and I ended often charging my phone there and having a beer there for 10 CNY. Had a locker in the room where could keep valuables. 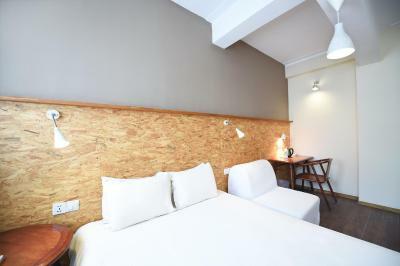 The location is really closed to metro , nice place to stay.for Muslim also is close to one Muslim halal food. So you don't need to worry just walk from hotel. The staff are quite unhelpful and a little rude. I was in the main common room (as it is the only place with food WiFi) and at about 12am as I was using my laptop they began turning all the lights off and blowing out the candles on the table, whilst saying nothing to me!! WiFi is Crap!! None in the room- literally only in the downstairs common room. The front desk was accommodating and allowed me to check in very late. Out of a normal sized room they made a 6 bed dorm. There is space like in a sleeping train. We needed to leave our luggage outside of the dorm. 6 bed dorm with access to 2 showers and 2 toilets, but you have to share it with another 6 bed dorm. So 12 people and 2 toilets and 2 shower. Clean ? Lets say not so. Friendly staff ? Please dont ask them information or advice.... you just disturb them. My worse experience in 2 weeks travelling china Dont stay in the dorm, double private rooms are good. Met a couple and they showed me the room. Hostel near everywhere and there is lift.